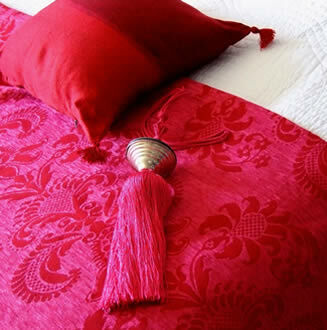 Luxury boutique hotel Velez Malaga, exclusive accommodation Costa del Sol, Andalucia, Spain. "A PERFECT MARRIAGE OF ORIGINAL FEATURES AND A SUBTLE, MODERN STYLE"
Our luxury boutique hotel, a beautifully restored 18th Century Palace, is located in Velez-Malaga, 30 minutes drive from Malaga Airport and a short bus-ride from the glorious sandy beaches of the Costa Del Sol, Spain. We offer exceptionally high quality accommodation and facilities, blending contemporary design and comfort, with a rich cultural history and a warm personal welcome. Whether staying in individual rooms or reserving the whole palace, our aim is to provide our clients with a memorable and exclusive experience at a price which is affordable.